As well as the online resource for SME’s, companycarandvan.co.uk we also publish a bi monthly 68 page magazine entitled Company Car & Van, which contains all of the up to date news, that is relevant to the SME fleet market. Here is a taster of what will be appearing in our October 2018 edition. The main talking point this year in fleet has been discussions around the arrival of the Worldwide Harmonised Light Vehicle Test, or, as it’s more commonly known, WLTP. This is the new lab test for cars which has introduced more realistic testing conditions, providing a more accurate basis for calculating fuel consumption and CO2 emissions. Now it’s officially with us, what impact will it have on your fleet or on your company car tax, and how will the car and CV manufacturers respond? of Motor Manufacturers and Traders reported that in August, sales in the smaller business sector rose 166.4% – equivalent to an uplift of around 1,500 units against the same time last year. to battle to re-homologate their vehicle ranges to WLTP, leading to an anticipated shortfall in supply. What this may mean for SME fleets is delays this Autumn in delivery of vehicles ordered earlier this year and, for company car drivers, the likelihood that BIK rates will increase on some, but not all, models. If this sounds confusing, that’s because it is. All of the vehicles driven by us and reviewed in this issue were tested before WLTP came into effect and we hope that when you read these, you will forgive us for any lack of clarity based around these changes. 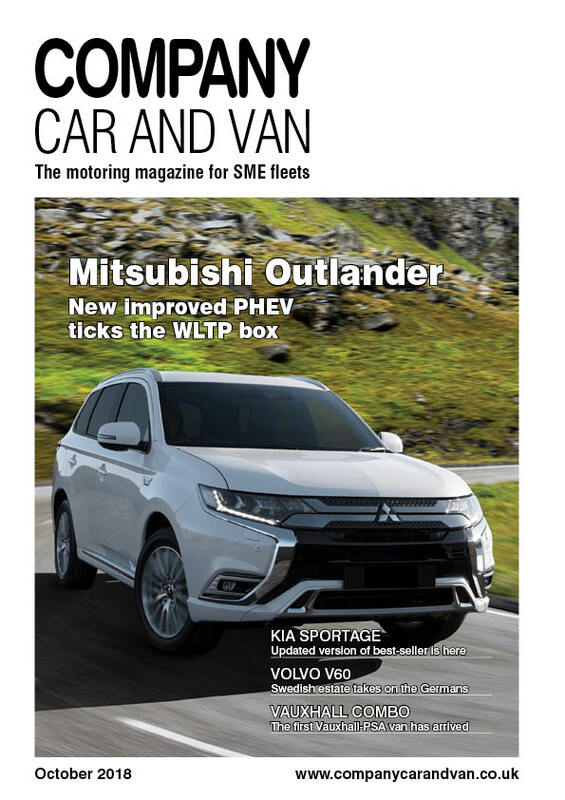 One car that has already ticked the WLTP box is our cover star, the Mitsubishi Outlander PHEV, which we feature inside. We also drive the original crossover, the Nissan Qashqai, Volkswagen’s T-Roc, Range Rover’s gorgeous Velar, the DS7 Crossback, Toyota C-HR and Honda Civic. There’s also features on a range of new and updated cars including the Volvo V60, Mazda 6, Hyundai Tucson, BMW X2, KIA Sportage and Lexus’s highly anticipated UX SUV. On the commercial front we get behind the wheel of the Mercedes- Benz Vito, the Isuzu D-Max Blade pick-up and Volkswagen Crafter, while we consider the pros of the Fiat Professional Ducato and IVECO Daily conversion ranges. And, last but by no means least, Vauxhall has announced its new Combo, the brand’s first collaboration with the PSA Group, and we also feature its new sister model, the Citroen Berlingo.